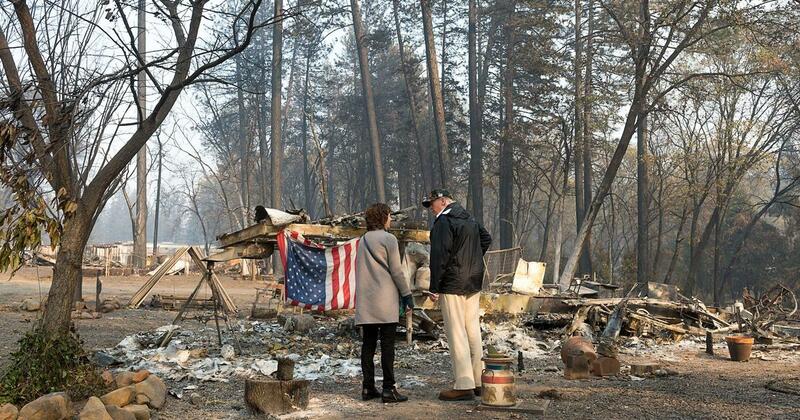 Authorities continued to search through the burnt wreckage of California’s deadliest ever wildfire on Sunday, searching for any signs of the reported 1,276 people listed as missing after the Camp Fire tore through the mountain town of Paradise. As of early Sunday the blaze was 60 percent contained, officials said; up from 55 percent as of Saturday. The death toll far surpasses that of any other single California wildfire, and already ranks among the deadliest U.S. wildfires since the turn of the last century. Besides the toll on human life, property losses from the blaze make it the most destructive in California history. This presents the additional challenge of providing long-term shelter for many thousands of displaced residents. At the latest count, the Camp Fire had destroyed more than 12,700 homes and other structures, authorities said on Sunday.